People are sometimes get mistaken about rattan and other material like wicker. While, actually the originality is coming from the product and the process. This is refer to the understanding that rattan is actually a tropical palm tree that growth upward like a tree. Along with its growth, rattan will bend back down toward the ground before snaking out like vines through other trees and plants or that might be surrounding it. Once the rattan has been cut, it is dried before turning into rattan furniture material. Rattan has been around for centuries and it is considered a high quality, reliable and affordable option for building material, especially furniture. In fact, rattan is known for being one of the strongest materials available, which is why many people choose this kind of furniture to decorate their outdoor spaces as it can stand up to weather throughout the year. How Is Rattan Patio Furniture Made? The process to make rattan is usually steamed, and then bent it to accommodate the style, size and shape of the rattan furniture that is being made. The materials are then woven around and into this outer “shell” before being completed. Taken from this process will show the differentiate rattan and wicker. 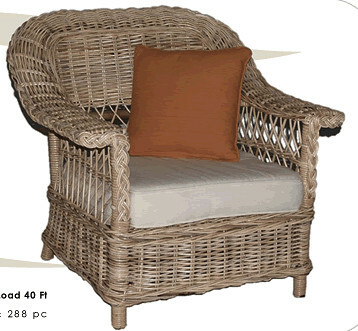 Because wicker furniture is truly rattan material woven in a specific way to make it identifiable as such. North Carolina is a leader that produce rattan patio furniture. Fortunately, no sweat to get along to North Carolina, because you can find it in front your browser. In fact it can be as easy as purchasing your favorite set right on the Internet. There area number of options available on the market reviewing about the styles, colors and different price ranges before making a final decision to get which rattan patio furniture that might satisfy you after you purchase it. It is important to make comparison among shop instead of choosing the first set you see, because you are not in a showroom where all the options are set in front of your eyes.